Hi there, welcome to day 3 of JustRite Papercrafts September Release. I didn't participate yesterday, but I am back today and with a super girlie card. Today we are showcasing a new gorgeous background stamp called Lace Background stamp. 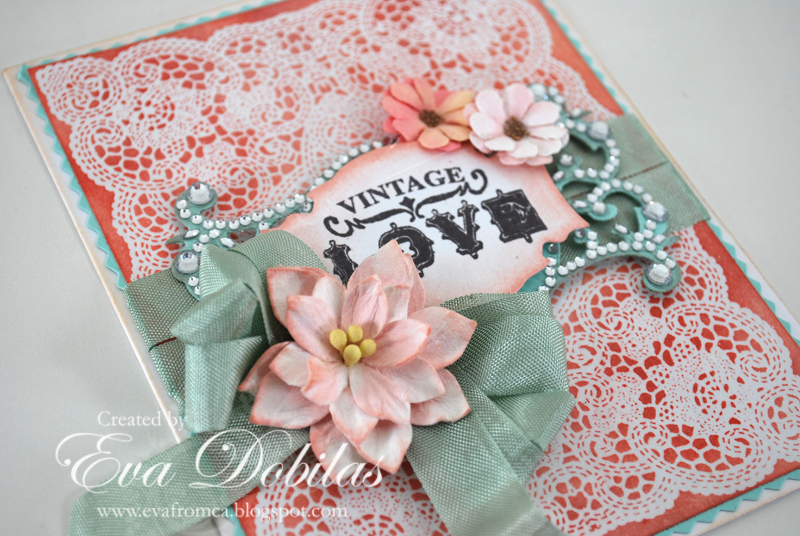 I also used our newly releasing Lace Medallion Labels. 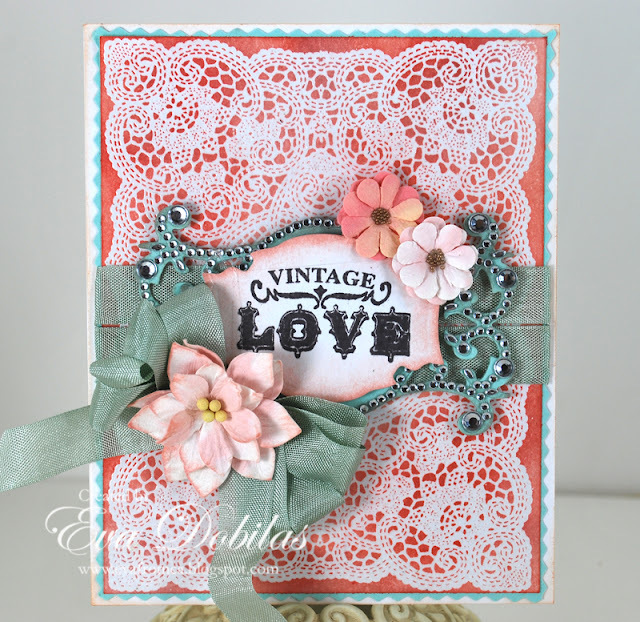 I white embossed the gorgeous background stamp on white paper and using Ranger Distress inks I created the background color. I also used Spellbinders Fancy Tags Three and it's Coordinating Want 2 Scrap bling. My sentiment was stamped on JustRite Antique Labels One Dies. And how about the beautiful seam binding ribbon from Stamp Simply Ribbon store? Love that, don't you? And the pretty flowers are by Petaloo. Here is what this pretty background stamp looks like. Make sure you check out my fabulously talented design team mates creations again today. Here is the list of the participating ladies today.